Renaissance Blvd. & Washington Ave. 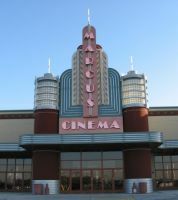 This movie theater is near Mount Pleasant, Sturtevant, Mt Pleasant, Racine, Elmwood Park, Franksville, Kenosha, Somers, Union Grove, Wind Point, Caledonia.